I am very excited for the August ludum dare! I thought I would try out posting a Mini lundum dare my self. I have played all of the games entered in the MiniLD #63 in my video compilation series and wrote an article on my favorites! I like to start hours before, playing classic SNES. I play several of them and some submissions from Ludum Dare previous events too. Today I intend to test various mechanisms within the themes covered for the event. I have been studying for some time, issues such as ‘body mass, volumes and environments’ for 2D games, state simulations understand me. Simulations for the player feel that is in the water .. a place that has a light that affects the character, winds that affect the speed. I’ll try to use different types of environments and simulations of this kind today. I’ll wait to start the proposed schedule … Which is same? heheheheh … I will be playing while I wait hehehe. I’ve got my game idea for the Mini-LD. That being said, my idea has very little if anything to do with the potential themes. I really love the idea, though, and want to make it happen. The premise has a wide scope, though, and I’ll only be able to get a subset of it working during the Mini-LD. That’ll be a good push for me, though. The game is about a fox that has to get eight elemental crystals (Fire, earth, water, air, and four others I’ll figure out) into their respective altar-type places to get the Forces of Nature back into balance before the World is Destroyed. The Mini-LD version will have the first crystal and a “To be continued…” at the end. The game will be a Metroidvania where the player collects various skills. The Mini-LD version will have at least two of them. I’m in for Mini-LD #26. I’m not sure what I’ll make just yet. But, I’ve realized that I really do like Flash and I really do like AS3. I shouldn’t fight that love. Well, I had the start of an idea, but then never really figured out where to go with it. It could have come out worse, I guess, but I really feel like I should be better at this by now. In the future, I think I will actually spend time figuring out how I want the game to work instead of going with something extremely vague and getting right into implementing something before I know what I want. I fortunately have no real experience with domestic violence, so it is more on my feelings about people treating the ones they love poorly. Just general misdirected meanness. Early today I decided I hated how the game was turning out and gave up. Then later, a friend said something encouraging and I had to come back and at least get it presentable and post it. You are the lone survivor of… Uh, an zombie attack. Stay alive for as long as possible! Beat your record! Aim for the head for massive damage, shoot to the body to slow Zombie down and shoot to the legs to cripple them. Don’t forget to conserve ammo! Finally! I spent three hours figuring out how to use py2exe, fixing a problem with fonts and trimming the package (py2exe created files worth 40 MB (exluding the temp build/ directory), I got it down to 8 MB). Second and third house added and fully functional, including a line between the two houses (with corresponding semi-stupid Zombie AI). 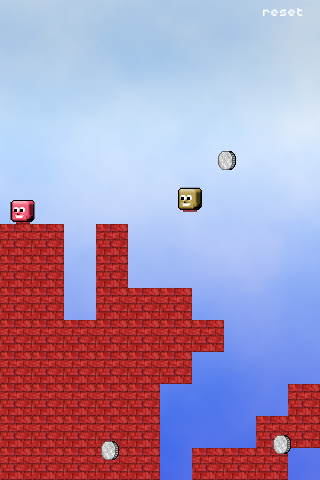 Also added health pack, 5 new sounds and re-wrote 600 lines of code to make it look better. Also did some simple docstring documenting. Difficulty is now well-adjusted, getting over 300 seconds is really hard: my record i 327 seconds. How long can you survive? This is my first LD, and I must say that I have enjoyed it very much. Not so much for the community feeling (which is really bad: I guess it’s because this is just a mini-ld) but for the forced time limit (…which I broke by 7 hours. Oh well!). 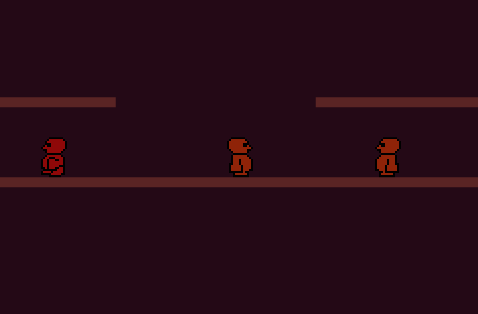 I have spent around 28 of the 48 hours (well, 34 of the last 55 hours) actively working on this game. I started with nothing but a 40-line code skeleton for pygame (which I had created some weeks ago). I didn’t like the theme domestic violence, but it gave me inspiration to use a house. Work has been going along just fine. I wish I made more journal posts… Oh well. *Added roaming functionality. Right now only dogs roam, starting randomly (and lasting for 4-20 seconds) when the player isn’t on the same floor (dogs can’t walk up stairs).